I have been trying to introduce more “healthy” meals into Ryan and my diet, which isn’t the easiest when the bf is not so prone to loving vegetables, and DEFINITELY does NOT go out of his way to eat beans. I think that is why I put these off for so long. Then, a couple of weeks ago, I made the brisket baked beans, and he loved them. It was after that meal when he asked me “what healthy food do you want me to try next?” That was my cue! Don’t judge me here, I am about to admit something that the Boston Foodie Community may disown me for….I love Chili’s Black Bean Burger. It is true, I can’t hide it any longer. Now, I haven’t been to Chili’s in about 5 years, and I only had the black bean burger once, but I have dreamt about it for the years in between. I have tried other black bean burgers, and they just never seemed right. I want the consistency of char on the outside and a nice soft inside. Well, you know what they say, if you want something done right, you gotta do it yourself. With that in mind, I present to you…Homemade Black Bean Burgers…and yes, they were just right! They actually brown up nicely! Side Note: I ate mine on a super healthy Joseph’s Flax, Oat Bran & Whole Wheat Pita and topped it with Frank’s Red Hot…I eat that sh$t on everything! But feel free to dress your burger up any way you like! 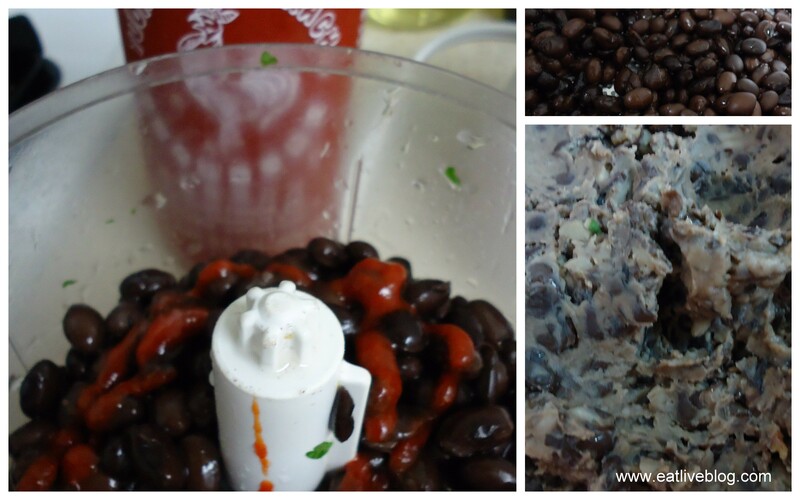 Place rinsed black beans in a food processor or blender with Sriracha (if using). 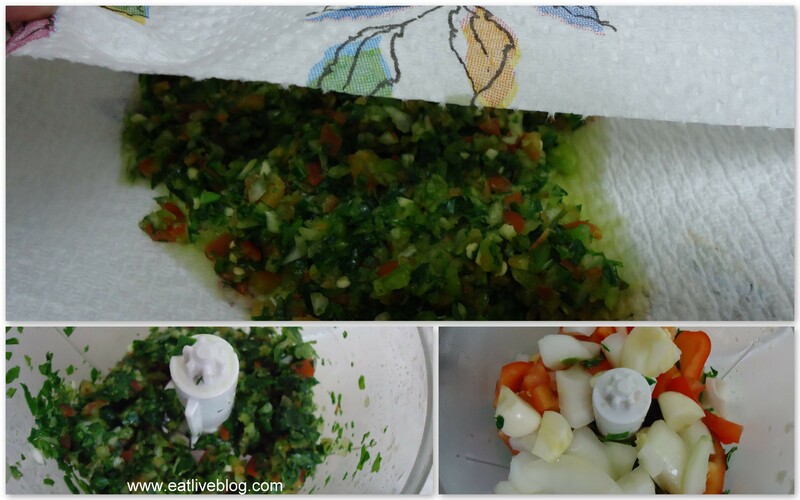 Place onions, peppers, garlic, cilantro and parsley in food processor or blender and pulse until well blended but not liquidy. Line a plate with paper towels and pour veggie mix on top of towels. Blot with another paper towel to remove some moisture. Immediately remove the veggies from the plate and put them in the mixing bowl with the beans. If you leave the veggies on the plate too long they will stick to the paper towel. Remove from pan, serve on your favorite bun, pita or salad! This entry was posted in Recipes and tagged black beans, blog, burger, cooking, healthy, lent, main course, meatless, recipe, sriracha, vegan, vegetarian, veggie burger by reneeh. Bookmark the permalink. Oh my gosh! Thank you so much for your comment, and for posting it so soon….because I completely forgot to include the panko! This has never happened to me before, thank you so, so much for jogging my brain! I just revised it. And yes, this would probably just make a sloppy (but tasty) mess without the panko. With it, the patties formed beautifully! PS-I just updated the recipe to include the crumbs. LOVE black bean burgers. I should totally try sriracha on them. These look delicious! I am a little intimidated by making them, too, but my hubby LOVES the Chili’s black bean burger, like you, so I’m motivated to try this! How funny! Glad I can give you a nudge, and thanks for visiting! Yummm. I’m a huuuge fan of bean burgers!! It’s so easy to take a can of beans, mash them, throw in some fresh veggies, breadcrumbs, and an egg–and fry to perfection! I love bean burgers and I’ve seen a lot of great recipes to make them at home! I’m going to have to give this a try! 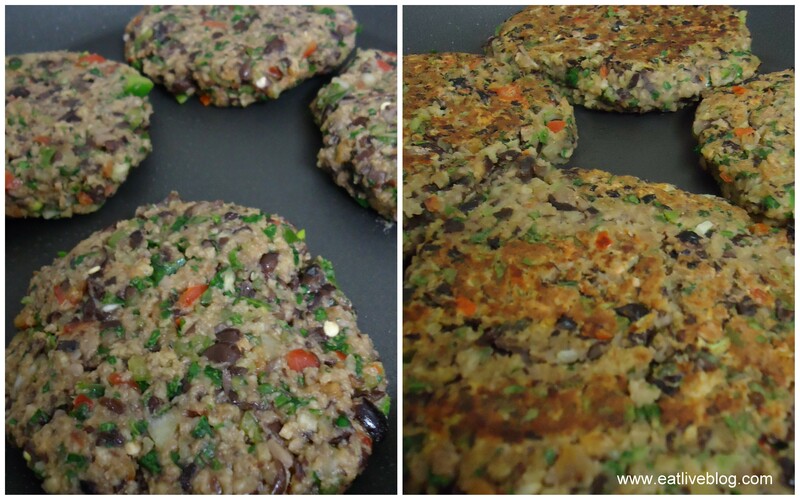 I LOVE black bean burgers…. but always use frozen. I’m so anxious to give this a try! Thanks a bunch for linking to Saturday Swap!!! Have a super weekend! 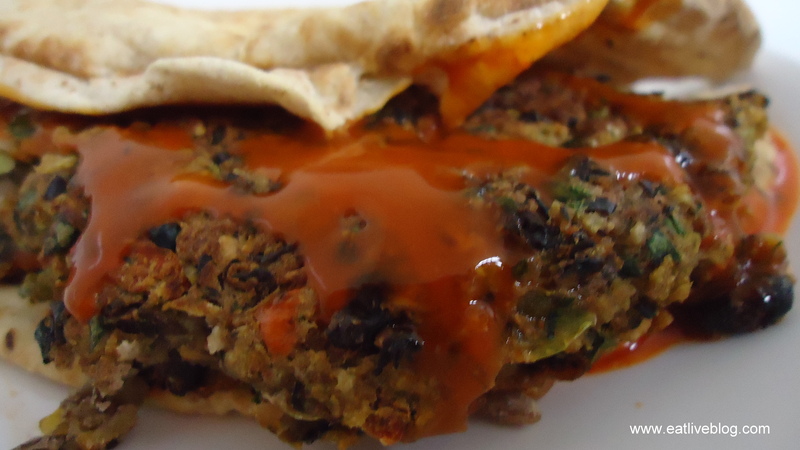 I have never had a black bean burger but I have always wanted to try one! I also love garlic portabella burgers! Mmmm. Haha – a black bean burger, even if from Chilis, is totally not something to be ashamed of. I recently made chickpea burgers and am excited to branch out to other veggie burgers. Black bean is a good next step! These look great, and very simple to make. I’ve been trying to find a black bean recipe that’s easy, and good — this one fits it. Looking forward to trying it. Whenever I see beans I think about seasoning them Tex Mex, but I’ll try this one out as well as two other recipes of yours turned out great earlier.